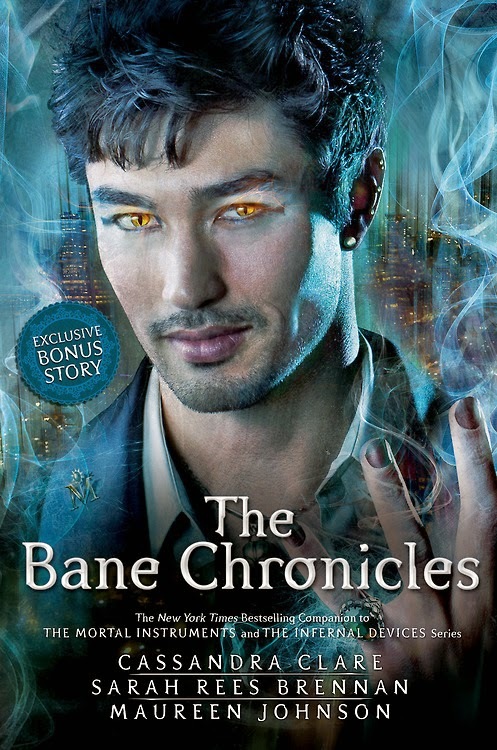 This week, I am super excited for The Bane Chronicles by Cassandra Clare, Sarah Rees Brennan, and Maureen Johnson! While I've already read a couple of the novellas inside, for the most part, I've been waiting for the final compilation to come out to read them. I'm excited to read about all of Magnus' adventures and find all the little squee moments! Look for short stories like Vampires, Scones and Edmund Herondale; The Rise and Fall of the Hotel Dumort; Saving Raphael Santiago and What To Buy The Shadowhunter Who Has Everything (And Who You’re Not Officially Dating Anyway). Each story will be available as an ebook on a monthly basis starting April 16 with the tale of What Happened In Peru. Each story will be released monthly online for the next ten months — and then for those who don’t read e-books, the full print collection will be available in bookstores and wherever else books are sold after the Chronicles have been finished.